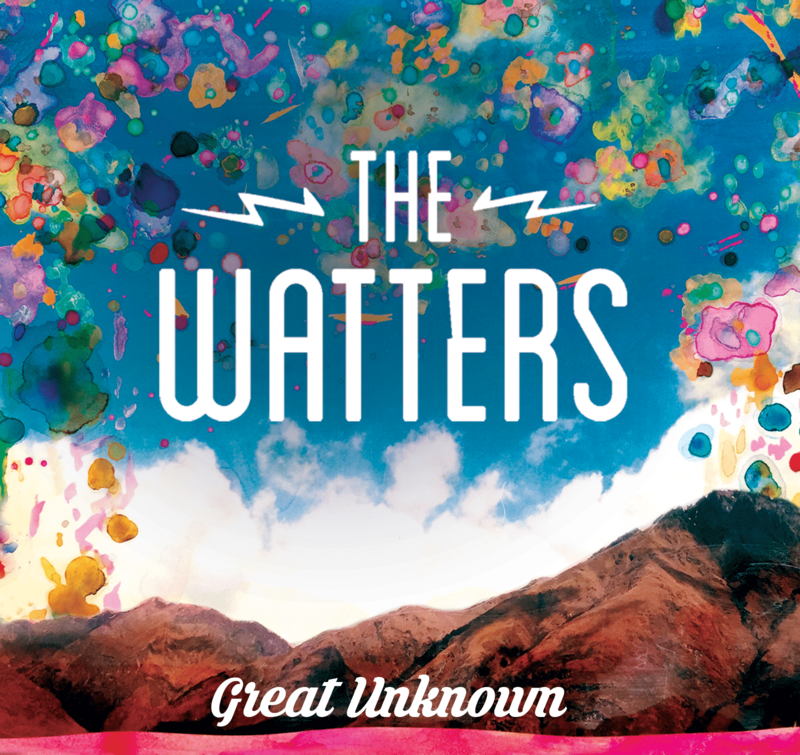 Although “Great Unknown” is the debut album for The Watters, it is far from the first collaboration between Daniel & Jenna Watters. They first sang together at their high school graduation in Sedona, AZ and have been playing music together now for 12 years. 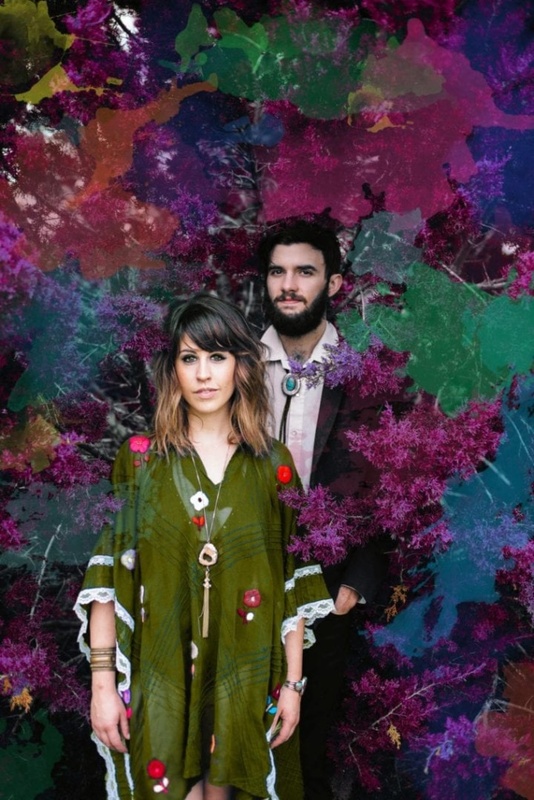 They toured the country as “The Oak Creek Band” during their tenures in Denver & Nashville before relocating to Austin in February 2015 and changing their band name. The Watters recorded “Great Unknown” at Cacophony Recorders in Austin, Texas in January 2016. It features an array of Austin’s best musicians including Trevor Nealon of The Band of Heathens, Joe Woullard and Zumbi Richards of Golden Dawn Arkestra and Erik Hokkanan. The 9-piece band (including a three piece horn section) is featured throughout the entire album. The original session was recorded live to tape to capture the live sound that distinguishes The Watters. Horns and vocals were overdubbed a month later. Changing the name of your band can be a huge decision. What were some of the reasons you decided to move on from “The Oak Creek Band” to “The Watters”? “Oak Creek” always pin-holed us into a specific genre; people assumed we were a Bluegrass or Country band, so we kind of got sick of explaining that we were a high energy rock band. Mostly though, we changed it because we had moved to a new city and had to start the band over from scratch, so a fresh start with a new name seemed like a good idea. It was an incredibly hard decision to make and it was hard to start over with no new material to show people, but a year later we feel really good about our decision. You relocated to Austin just over a year ago. What about the Austin music scene stuck out to you when you first arrived? People love and support live music out here! More so than any other city we’ve lived in. The musicians here are so helpful as far as helping each other get noticed and going to each other’s shows; Its a community that shares it’s gifts. We love the camaraderie! Your new record “Great Unknown” features a wide variety of musicians who play in other Austin based bands. How did you come about collaborating with them and what was that experience like? Most of the musicians were just people we met, or musicians we were blown away by. Random circumstances, I.e. co-workers/craigslist/at shows. Daniel went to the Pecan St. Festival when we first moved here and ran into Trevor Nealon (Band Of Heathens key player), who we had happened to play with in LA a few years back. We love him and are so grateful to have him and all the players on board. Trevor recommended Erik Hokkanen to play fiddle on our song, “Bad Dream”. It was fun having him in the studio (and he’s such a pro he was in and out in a snap!). Daniel met Joe Woullard (Hard Proof, Golden Dawn, Chilantro Boom Box, Black Joe Lewis) the first week we were in town during SXSW, but only reconnected many months later. Everything seemed destined to happen. How did you get involved with the Austin Music Foundation? Our good friend and old roommate, Kyla (who dates our drummer) volunteered at AMF for a little bit, and scheduled us to get in to talk with Alex Vallejo. Alex was super helpful and guided us into our new image and name. We loved getting to pick his brain a bit about the music scene here in Austin and hear his great stories. We feel honored to be named artist of the month, we have ya’ll to thank for your guidance. What advice or information have you gotten from AMF that you’ve been able to apply to your band? Learning about the right and wrong times to release a single/album and when to go on the road. With AMF’s guidance, we promoted the creation of a new name, a brand new album, a new website, new merch and everything in between in a about a year. Where do you wish to take The Watters and when people see you live, what do you wish people to take away from the show? For more on The Watters and upcoming live performances click here! For daily updates, follow them on Facebook and Twitter.